Measures about 2-1/4 in in diameter. Here is one guaranteed to puzzle even the brightest mind. 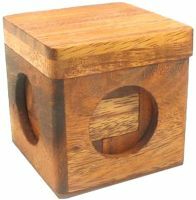 This small, wooden cube is made up of 27 identical blocks, all just under an inch square. 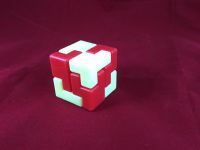 When assembled, our snake cube stands almost 2 and a half inches tall, and looks completely harmless. But it's not. Each small block is held together by a string, which runs invisibly from one block to the next. You may think this will make the cube easier to assemble, but you're wrong. When unrolled, you'll end up with a coiling mass of blocks over 14 inches long. Then you'll discover that the string makes the blocks turn at all the wrong places, tricking beginners into creating the most bizarre-looking shapes. In short, there are dozens of different ways to start the base, and hundreds of ways to carry on and build the cube. But the catch-22 is this: there's only one way that will work in the end. 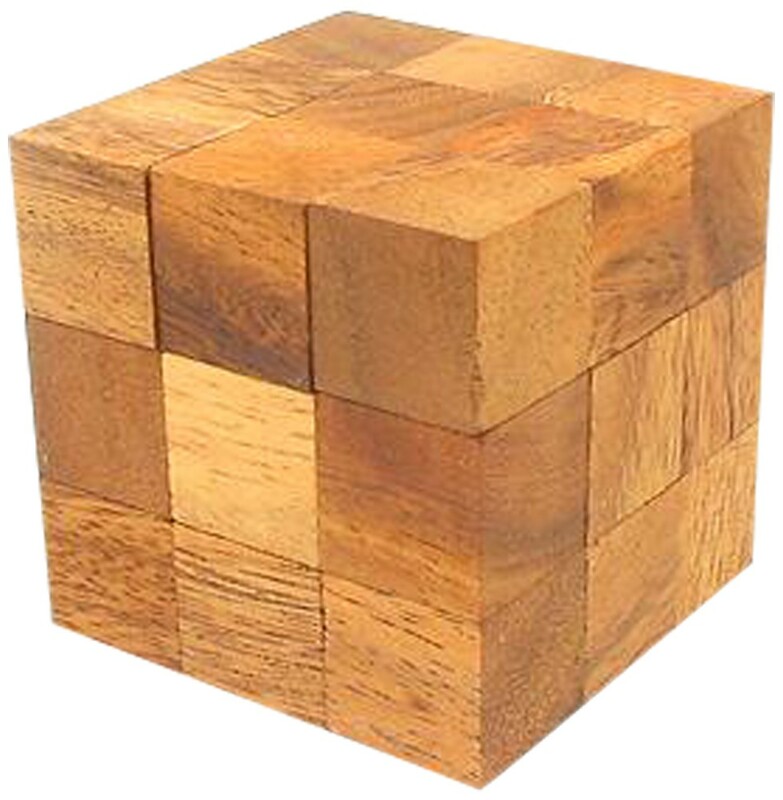 This puzzle is extremely difficult and time-consuming, and should be attempted by patient people only!